Ookla, the company behind Speedtest, the popular tool for broadband and wireless users to test the speed of their Internet connection, has just released its annual Canada Speedtest Report. In it, the company ranks the country’s fastest networks. Overall, average wireless download speeds in Canada increased by 21 percent year on year to 25.21 Mbps, good enough to make the Great White North the country with the 26th fastest download speeds in the world. Moving to specific networks, Bell, with its new LTE-Advance network and average download speeds of 30.47 Mbps, ranked the fastest in Speedtest’s testing. Surprisingly, Fido’s Network, which it shares with parent company Rogers, was the second fastest, according to the company’s tests. Fido also beat out Rogers on upload speeds, though just barely. Wind Mobile’s AWS network was significantly slower with download speeds topping out at 6.30 Mbps. While they don’t have the visibility of the Big Three, Canada’s regional carriers did well in Speedtest’s testing; in fact, the average upload speed on Videotron’s network, 10.65 Mbps, was actually better than both Bell and Rogers. One major advantage the regional carriers have over their national counterparts is a much smaller operating area they need to cover in cell towers. 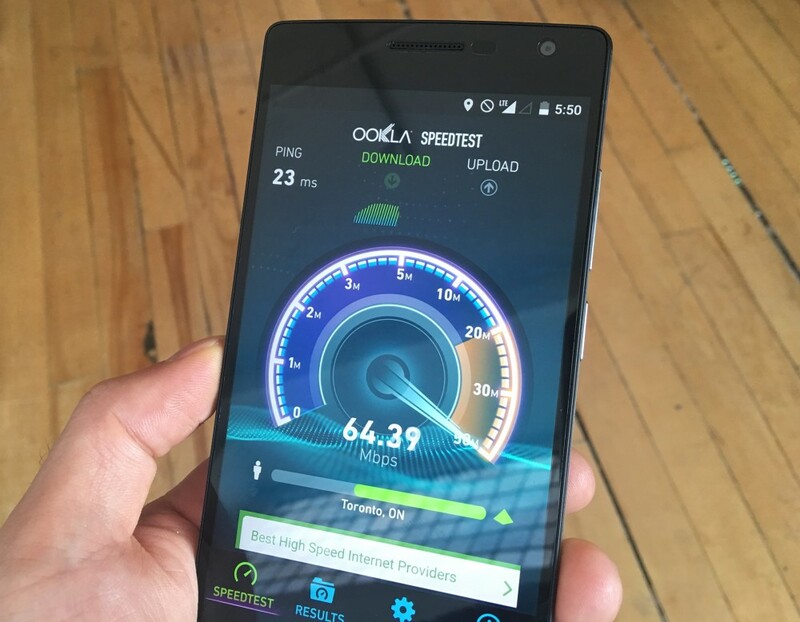 To compile its report, Speedtest used modern smartphones that ship with LTE modems capable of taking advantage of the most advanced wireless networking technology, which in Canada’s case means 4G LTE. Check out Speedtest’s full report on the company’s website.